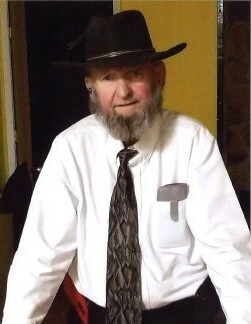 Kenneth Leroy Stoughton, 76, of Dallas, GA, passed away on Thursday, March 21, 2019, at Cape Fear Valley Medical Center, in Fayetteville, N.C., due to C.O.P.D. and heart failure. Born in Butler, PA, on July 1, 1942, to the late Charles and Geraldine Stoughton. Kenneth was retired from the U.S. Army with 20 years of service, and also retired from AutoZone with another 20 years of service. He is preceded in death by his wife, Michelle Marie Stoughton, ex-wife, Barbara Ellen Stoughton, brother, John Stoughton and his parents. Survivors include his son, Kenneth Stoughton and his wife, Robin, of Hopemills, N.C., daughter, Donna Henry and her husband, Gene of Dallas, GA, sister, Barbara Wallace; 3 brothers, Larry Stoughton, Steve Stoughton, Chuck Stoughton, grandchildren; Charles Futch, Shawn Futch, Keith Falkenstern, Tanya Parsley, Jason Westhead, Samantha Paoni and 21 great-grandchildren. Mr. Stoughton’s visitation will be held on Friday, March 29, 2019, between the hours of 6:00 PM and 8:00 PM. Funeral Services to be held the following day, Saturday, March 30, 2019 in the Clark Funeral Home Chapel at 11:00 AM with Rev. Don Rackley officiating. Interment will follow the service at Melrose Hills Memorial Park. The family will be receiving guests after the services and interment in the fellowship hall of New Hope First Baptist Church. Food and drinks will be provided.